Gwendolyn Brooks is using Smore newsletters to spread the word online. All students must update their devices to the iOS 8.1 operating system no more than a day or two before collection. This should be completed at home so the devices can be returned back to the students within the two days mentioned. Please note, the iPad Minis should be plugged in when upgrading to iOS 8.1. If your student's device has a passcode, please disable it at this time. Click HERE for instructions on how to update the device. If you encounter issues while updating the operating system, or do not have the necessary resources or access at home to complete it, email the District 97 Technology Department. Best Buddies is an international organization dedicated to enhancing the lives of people with intellectual disabilities by providing opportunities for mutually enriching one-to-one friendships. Best Buddies has been at GBMS since 2002, and has grown from 12 members to over 30! Questions? Email Best Buddies. The night will start with a presentation by Michele Capio, District 97's Behavior Interventionist, discussing essential behavior management followed by break out sessions into age groups with District 97 social workers. Childcare will be provided on an as-needed basis, free of charge. Please email Mandi Rebman or call (708) 524-3080 to reserve childcare by Friday November 7th. For more information on this event click HERE. Coffee with Principal Michowski: Join us for the fourth Principal Coffee & get your questions answered! Can't make this one? Save the date for the final 2014 coffee on 12/5. Service Club will be collecting travel-size toiletries throughout the school year to donate to veterans and the PADS shelter. Please drop them in the school office to the attention of Susan Walsh or Blanca Martinez. Everyone is welcome! Questions? E-mail Ms. Walsh. If your student enjoys dramatic presentation, this is the club for them! Final presentations will take place at the West 40 Speech and Drama Festival, Saturday, February 28th. When selected, participants will work one on one with a coach at mutually agreed upon times (sometimes before or after school or at lunch time) to help students memorize and refine their presentation. Selected participants will need to practice at home as well as at school. Oak Park has taken top honors at this event for many years. With hard work and guidance from their coach your student can be part of the Speech Team legacy! Parents will need to provide transportation to and from the event, which is usually in Elmwood Park. Questions? Email Ms. Barot. Is your student interested in creating a piece of glass jewelry or a mirrored mosaic? They should consider joining the Art Club – Glass Time. In this club students will learn about different types of glass, how they differ and create lovely items!! Applications are available on the website of Ms. Williams or from Ms. Williams in room C-309. Space is limited, so apply as soon as possible! Questions? Email Ms. Williams. Please join us to see the film - I AM A ELEVEN - a family friendly documentary about childhood. The film explores the lives of eleven year olds from 15 different countries across the world, who share their thoughts on everything from love, war, global warming, music, culture, family, happiness, and the future! Did you miss getting tickets to our first screening? Reserve your tickets HERE for the 2nd screening on Saturday, December 13th at 10am. Questions? Please contact Dawn Glossa or Kelly Flemming. GBMS's IB Coordinator, would like to request a parent volunteer to help take pictures and/or video of IB classrooms in action to be posted on our district website before Winter Break. If you are interested email Patricia Feierberg or call (708) 524-7507. Do you shop at Jewel? Are you participating in their promotion to earn free Cuisnart cookware? If you are not participating or would like to donate any extra stamps, we are collecting stamps to update the cookware in the staff lounge at Brooks. You can earn stamps while shopping at Jewel through December 26th. Please send your stamps in an envelop to the front office at Brooks. Questions? Please Email Minerva Colbert or Kelly Flemming. Click HERE for more info on the products which stamps can earn. 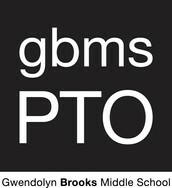 We’re asking each GBMS student to donate 12 Box Tops. Box Tops coupons can be found on many specially marked items. For a complete list of participating Box Tops products please click HERE. You can either send the Box Tops with your student to give to their Advisory Teacher or bring them to the school office. Please place the Box Tops in an envelope or Ziploc bag marked “Box Tops”. NOTE: Be sure to check the expiration date on each Box Tops prior to submission. Thank you in advance for helping to make this collection rally a success! Questions? Please Email Minerva Colbert or call her at 773-791-8699. Brooks PTO will receive 1% of all money spent at Amazon.com through this special link. There are no price increases or fees when you do. Just click on the link, then bookmark the page so the PTO earns 1% every purchase when you shop at Amazon. Please share the link with family, friends & neighbors to use! Purchase a super-soft Brooks t-shirt with an awesome new design for only $10 each. S, M, L, and XL adult sizes are available. Click HERE to order. Please let us know if you have any questions by replying to this email. If you have content to include or that you'd like to see covered in our newsletter, please reply to this email with your suggestions or submit the information here.